E-drive is a device for the control and protection of pumping systems based on frequency variations in the power supply of the pump. 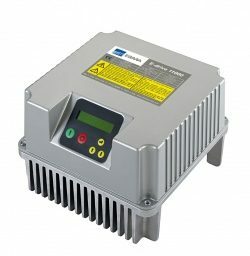 E-drive can be connected to any pump on the market, it manages operation to maintain set physical quantities constant (pressure, flow or temperature of fluid or more) depending on the conditions of use. In this way the pump is operated only as and when needed without wasting energy and as such extending its life.